Purdue isn’t always the school that you would expect award-winning players to come from, but this year, they can lay claim to having both the Big Ten Freshman of the Year and Receiver of the Year awards. 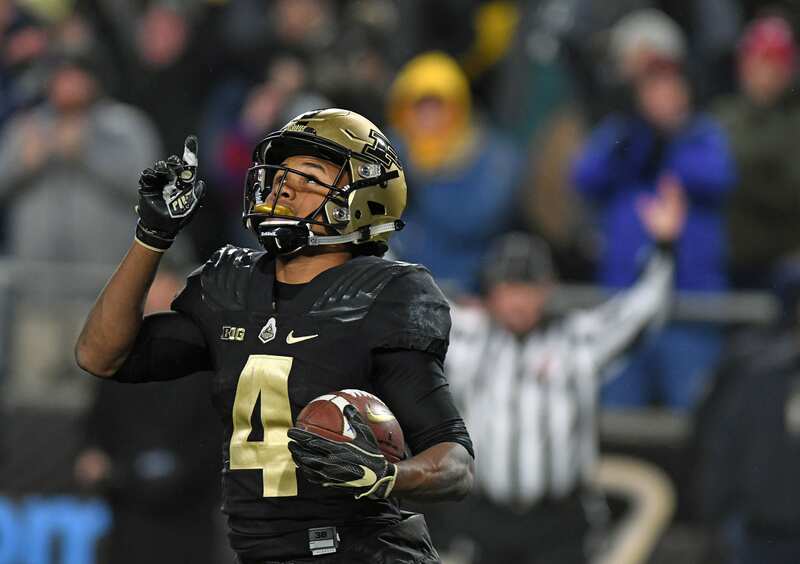 Both of these titles will go to Rondale Moore, who racked up more than a thousand yards receiving in his first season with the Boilermakers and greatly helped their offense with 12 touchdowns over the air and one on the ground. With the regular season practically over at this point, Moore’s 103 receptions also lead the nation across all conferences and barely edge out other players such as UMass receiver Andy Isabella, who finished the year with 101. Moore’s 1,164 yards put him at tenth in all conferences, but first in the Big Ten, above Minnesota’s Tyler Johnson and his 1,112 yards. Moore’s influence has been felt in Purdue’s season. While they did finish their regular season 5-4 in the Big Ten Conference, they’re currently on par with both Iowa and Wisconsin in a three-way tie for second place in the Big Ten West standings. They also defeated Ohio State in a nationally televised home game, back when the Buckeyes were ranked number two in the nation. During that game, Moore had one of his most productive nights and finished with 12 receptions and 170 yards, tying his highest number of catches and setting a career high in yards. In the season finale win against rivals Indiana, Moore tied that total of 12 catches and finished the game with 141 yards and 2 touchdowns. It’s certainly a well deserved award, and going into next season, Moore will definitely be one of the national players to watch. Especially when Purdue has a better idea of their starting quarterback situation going into the start of the season, unlike this year. New York Giants, Big Ten Conference, and mixed martial arts writer & photographer. From Jersey, now in Buffalo! What Should The New York Giants Do If They Miss Out On Justin Herbert?